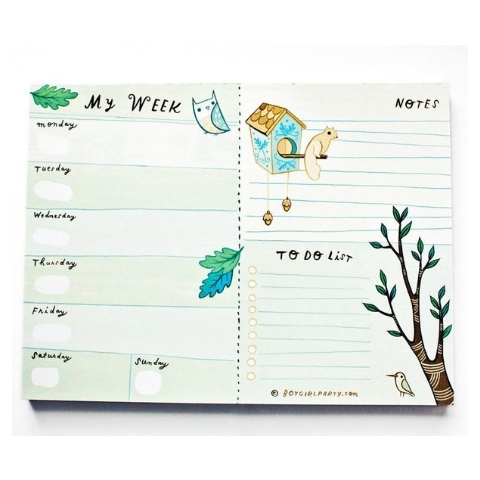 This Boygirlpartyå¬ week-at-a-glance flat planner was created to help you stay organized throughout your week! 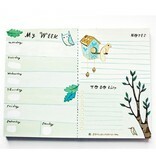 Fill-in-the-blank dates keep it functional throughout the year, any year while squirrels and owls decorate every page! 50 pages, printed on recycled paper. 6x8" makes it large enough to double as a mousepad, but small enough to fit into any carrying bag.